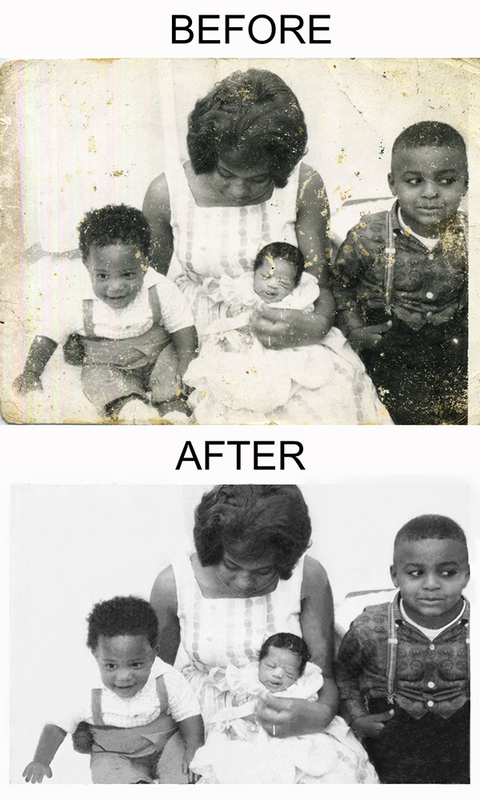 Patti was excited when she saw this b/w restoration of an old family photo. “That’s me. I’m the little baby!” Yes old photographs can be brought back to life. Stop by Photography By Walt to discus the restoration of that faded photograph.